Quick sort algorithm implementation in JAVA. 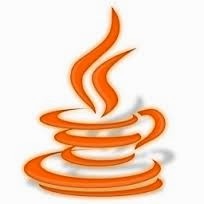 JAVA collections framework is a collection of different types of data structures. With this default collections one may never need to create their own data structure to support their project requirements. Enough said!!! lets jump into what collections framework is all about. ArayList : One of the most famous and widely used collection is ArrayList. ArrayList implements a marker interface,to let us know that it supports faster random access of an object in its collection. It also provides faster iteration over its elements. This collection is unsorted and ordered. safety. While Vector is thread safe ArrayList is not. Even vector implements RandomAccessInterface(Marker Interface).This collection is unsorted and ordered. Note: By thread safe it is not meant that it is completely thread safe only few operations in this colelction are thread safe. LinkedList: LinkedList supports faster insertions and deletions. So we can use this collection if we need faster insertions and deletions. This collection is unsorted and ordered. Map Interface : By using Map data structure one can map a unique key object to a specific object. Noteworthy that it is mentioned as unique key. So objects used in Map should override and provide meaningful implementation of equals method. HashMap: As mentioned above keys should be unique and objects are placed based on the hashcode computed. I strongly suggest you to have a good understanding of hashcode and its relation to equals method before using this collection. It is common practice to use string literals as Key to avoid the complex implementations of hashcode method.HashMap is not thread safe.This data structure is unordered and unsorted. HashTable : It is thread safe version of Map interface and another difference between HashMap and Hashtable is the later does not allow any null values as keys whereas Hashmap will allow one null value as key. This data structure is unordered and unsorted. LinkedHashMap: Linkedhashmap is an ordered collection where its order is maintained by the insertion order. Provides faster insertion and deletion. This collection is ordered and unsorted. TreeMap: TreeMap is a sorted version of Map data structure. Sorting will be by natural order(Natural order for numbers will be 1,2,3...., for strings a,b,c.....) or we can use an comparable or comparator to influence the sort order.This collection is sorted and ordered. Any collection which is sorted will be obviously ordered collection also. Set Interface: One key word we have to remember about Set interface is uniqueness. So this data structure will never contain duplicate elements. So it is very important to provide meaningful implementation for equals methods to the objects which will be used in this data structure. TreeSet: TreeSet is an ordered and sorted data structure. Elements will be sorted based on its natural order or can be influenced by a comparator or comparable. Queue Interface: Follows FIFO(First in first out) policy. PriorityQueues: to indicate the priorities. Priorities will be maintained base on the natural order of the elements in this data structure. sort order can be influenced by use of comparator or comparable. This sort order will determine the priorities of the elements.